my shiny objects: Mama's Nest Locket GIVEAWAY! OK ya'll, here is the next giveaway :) I just LOVE this new design and it seems to be a huge hit with everyone! A bird on a berry branch is stamped on the outside, then a nest holds three turquoise beads on the inside, representing your "eggs". Sterling silver 7/8" disks have a brushed finish and are cupped/domed to create locket style. Easy peasy, right?? Giveaway ends one week from today, March 4th. Results will be calculated using random.org. I like the Zach Mommy Bracelet! I have not placed an order yet. However, after browsing your website there are several designs that I absolutely LOVE! Those include the: the NEW- Custom Dog Tag, and the Grandmother's Pin- Hammered sterling silver heart pin with HAND STAMPED names. Your work is incredible. I already posted my favorite pieces, which are the NEW- Custom Dog Tag, and the Grandmother's Pin- Hammered sterling silver heart pin with HAND STAMPED names. I also follow your blog, am a fan of your Facebook page, and shared the giveaway on my facebook page. Well you know I love all your stuff - but my new favorite is the Evan necklace. I love the felicity necklace. I'm already your fan on facebook. I like the Claire Necklace. Thanks for the chance! Please pick me pick me....I love the Mama's nest locket!!!! HI. I am a huge fan. Great work! 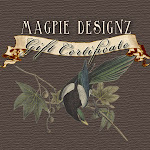 I love the mother of swirl necklace, the chickadee a tied for first and the Charlie is the second place one. I think it is Supurr Awesome you have pet jewelery. I follow you on Blogger as Supurrkitten! Mama's nest is my favorite design (although I think all of them are great!. I like the charm bracelet, as well as the birds nest, and many others. I am also a fan of your FB page! I have a lot of favorites! I would say the Nolan necklace and Chickadee necklace are my absolute favorite! I follow you on Twitter @MSU_MOM_TO_2. Shared this giveaway on my Facebook page. It's hard to pick just one favorite!! I do love the Owen Necklace--so pretty! Thanks for the giveaway. I think my favorite is the Jaden Necklace, love it! my email addess is gpn4672@gmail. com. My favorite piece is the blessings locket. Thanks for the giveaway! Love this new necklace--so unique and cute. My other favorites from your website are the Alexandra necklace and Nolan necklace...beautiful stuff! I think you might guess my favorite - the chickadee since I buy it for every girlfriend I have...it is funny when I hang out with friends and we are all wearing it at the same time! I also love the locket and bought that too. I am a FB fan, & follow your newsletter. I like your mother of swirl necklace. I just signed up to be a follower of your blog and a fan on your facebook page. I love the sandpiper necklace, and I follow your blog and have you on facebook...HOpe I win, I am a new "gigi" (grandmother) and would so love to have this to wear. My absolute favorite is "The Little Bit of Everything" Necklace!!! LOVE IT!!! I spent so much time making my recent choices- but my favorite is the Chickadee necklace! I very much like the Maisey necklace on your site. 1. My favourite item is the Blessings necklace - beautiful! 3. I'm a facebook Fan - Sarah Keery. I follow your blog and have signed up for the newsletter. And I really can not quit talking about your beautiful jewelry - and I have already seen my friends become your fans and share this wonderful contest! I love the mama's nest! I love your mommy charms. Ordered two of them recently. Your stuff rocks. 1. My favorite design is the Mama's Nest Locket. Sooo cute!! 3. I'm sharing this on my facebook page. 4. I'm your fan on facebook. 5. I'm signing up for your newsletter. I love the Owen necklace. also did 3-7. It won't let me sign up to follow your blog or some reason. I like the Blessings Locket. I love all your designs! If I were to choose one, I would choose the Jaden Necklace. * Your designs are beautiful but my favorite design is the Jacob necklace. I love love love the Jaden necklace! Hi, I like the Sandpiper necklace..I like the contrast with the copper and the way they are kind of cupped. All your designs are pretty, and cleverly unique...what a neat gift you have!